Before I get into the history of this beautiful Monastery, I would like you to take a quick look at the aerial video of this stunning place and surroundings to get a better feel for the place. This print is pretty as well, I just found the image on the web and thought of sharing it. Here is also a fascinating Wikipedia account in English, Hebrew and French. 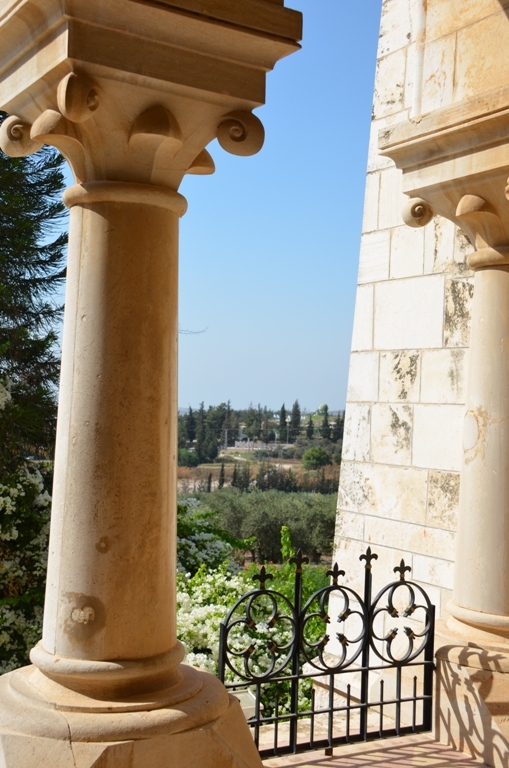 I would highly recommend reading about the history dating back to 1875 when Carmelite nuns bought the property from the adjacent Arab village. The monks that live there nowadays, their vow of silence, meditative and harmonious, vegetarian lifestyle. They eradicated meat, fish and eggs from their diet. 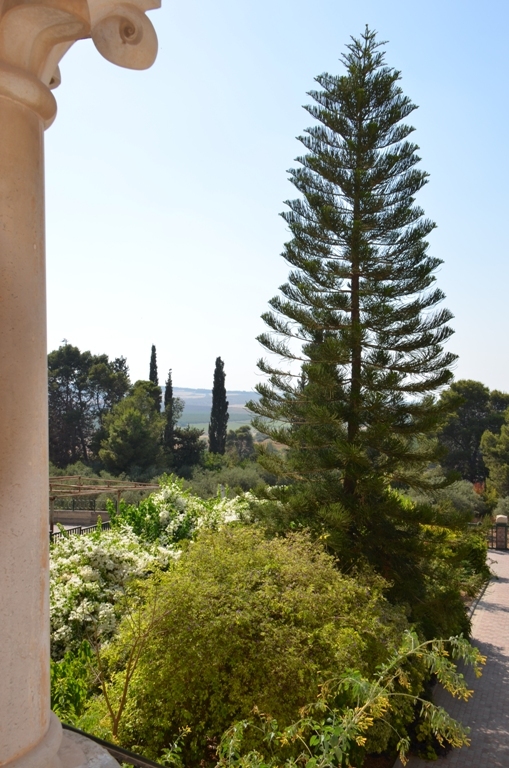 They produce olive oil and wine, called Latrun wine, from the olive trees and vineyards on the 400 acre property. In addition to the olive oil and wine, they also sell at the monastery shop some local honey and artisanal jams made on the premises among other memorabilia. The day we visited en route to Jerusalem, the Latrun Monastery hosted local artists with their wares and crafts in the parking lot. Other highlights in the Latrun, Ayalon Valley area, just across the street from the Monastery is a miniature models park, Mini Israel, of sights, attractions and holy places in Israel. 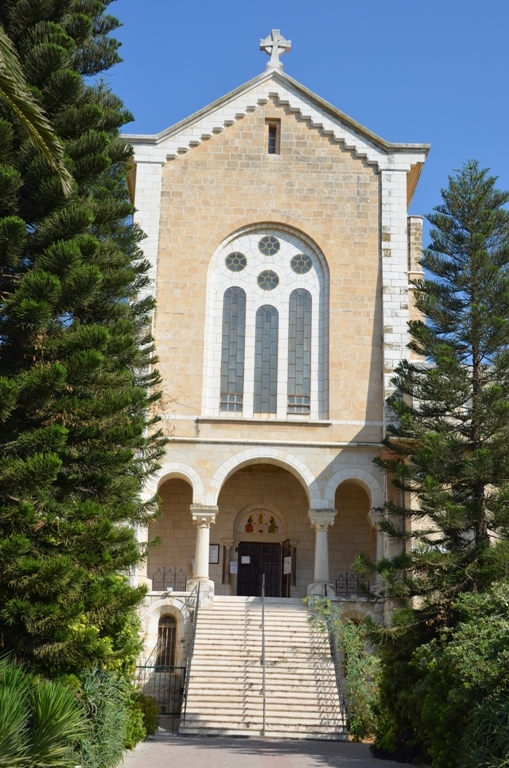 Neve Shalom Wāħat as-Salām (Arabic: واحة السلام‎ Oasis of Peace), just to the south of the Monastery, is a cooperative village jointly founded by Arab and Jews. It provides educational work to promote peace, understanding, equality and co-existence. If you are interested in Israeli history, make sure to visit the Armored Corps Memorial and Museum, Yad La-Shiryon at Latrun nearby. Lastly, if you know of any other food or otherwise highlights in the area, please share in the comments section. Thanks! What beautiful views!! My history knowledge is sorely lacking... I'm enjoying learning about Israel through your posts! Incredible monastery, Shulie. I love your Israel posts. You take me to a place I've never been to and maybe one day will be able to visit. Beautiful views!! TY Lora. Love exploring Italy through your eyes! TY Lizzy for dropping by. My pleasure! I know, right?! There is one more place like that, at least in Israel. I think in the Negev (desert). Beautiful monastery. Thanks for sharing it with us. Thanks for coming along for the ride, Asmita! Now that you put it that way, me too! barely two weeks was not long enough. We also got lots of family in Israel. Incredibly beautiful, Shulie! You captured it so well. Thanks for sharing. Thank you girlie for your support!